Artist Andrew Kolb pays tribute to Calvin and his indefatigable imagination with a pair of seasonal prints. 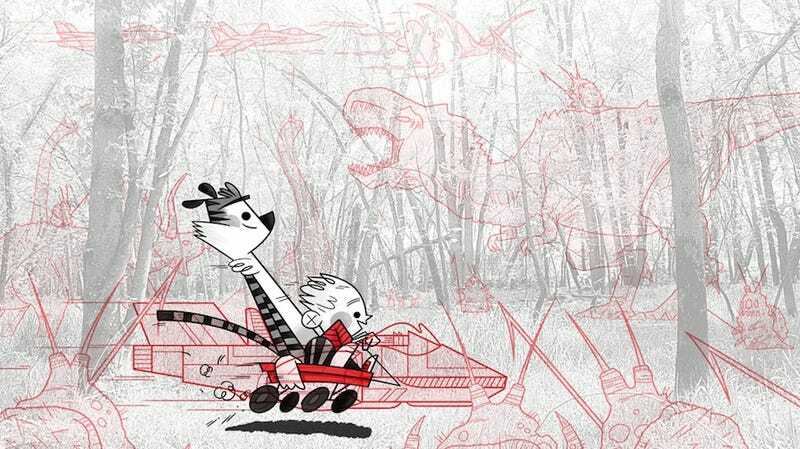 Whether it's summer or winter, Bill Watterson's duo can travel through space and meet up with dinosaurs, UFOs, giant robots, and, of course, those mutant snowmen. These pieces are part of the RED gallery show that opened last night at the Hero Complex Gallery in Los Angeles. You can check out the rest of the pieces and buy limited edition prints at the gallery website.